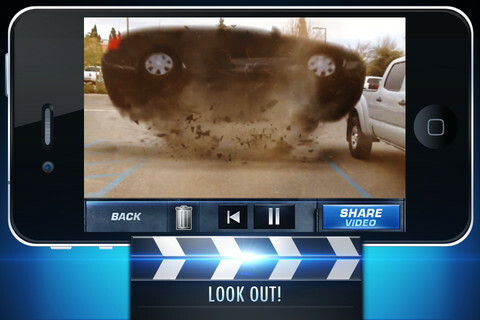 Action Movie FX is an video effects creating app which mainly focus on high quality of action movie effects. It is mainly to put some extra FX video effects on your video using your iPhone camera. 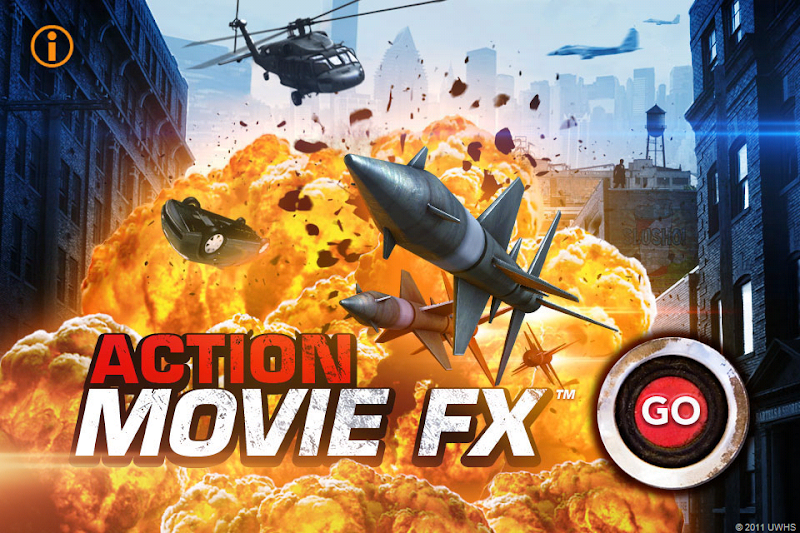 Action movie FX adds some cool and exciting video effects which are used in Hollywood movie randomly. You just need to shoot some perfect angle of video footage and then you can see how interesting it will be. In the Action Movie FX free iPhone app you can only get two different effects for your iPhone camera. One is Missile Attack and another is Car Smash. 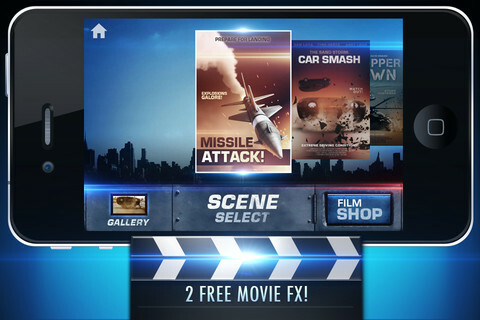 Action Movie FX makes you a Hollywood film maker. First of all you need to pick one of the FX visual effect and point out your iPhone camera at the suitable appearance which will be appropriate for the effect and records the video. 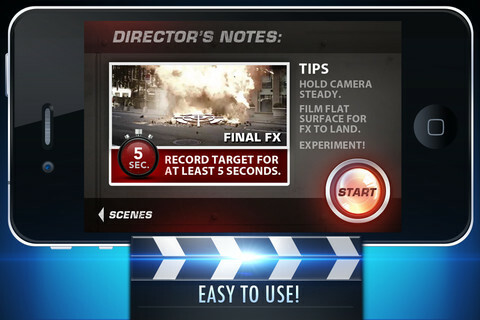 There will be a on screen guide for you to show how you use Action Movie FX on iPhone. After records, wait some time to let the app works on the recorded video and see the result!